NEW YORK (AP) — “Guardians of the Galaxy Vol. 2” rocketed to an estimated $145 million debut in North America, kicking off Hollywood’s summer movie season with something the movie business has been craving: a sequel more successful than the original. Director James Gunn’s second “Guardians” film opened 54 percent higher than the 2014 runaway hit, according to studio estimates Sunday. 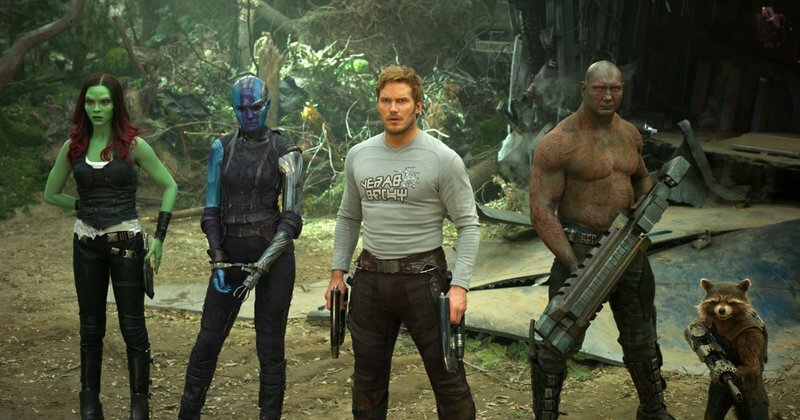 That release, which introduced the intergalactic band of misfits played by Chris Pratt, Zoe Saldana, Dave Bautista, Vin Diesel and Bradley Cooper, debuted with $94 million in its first weekend. Once a little-known, oddball property in Marvel’s vault, the “Guardians of the Galaxy” have grown into one of the comic-book factory’s biggest brands. The Walt Disney Co. validated the rise of “Guardians,” too, by moving it from August (when the original opened) to the first weekend in May. Marvel has used the same weekend to effectively launch the summer season for the last decade. The opening for “Guardians Vol. 2,” made for about $200 million, is the second largest of the year, following Disney’s “Beauty and the Beast” ($174.8 million). But it also turns back the tide of underperforming sequels, a developing scourge to Hollywood. Last summer saw a litany of sequels that failed to live up to earlier installments. “Guardians of the Galaxy Vol. 2” scored on that front, landing an A CinemaScore from audiences and an 82 percent “fresh” rating from critics on Rotten Tomatoes. In two weeks of international release, the film has also made $269 million overseas. A third “Guardians” is already planned, as are crossovers with Marvel’s Avengers. But whether “Guardians” can turn the tide for summer sequels will be a much-followed story line as the season progresses. The bottom line of just about every studio depends on it. Fearing the might of “Guardians,” no other major studio releases debuted over the weekend. The gap between first and second at the box office was immense. “The Fate of the Furious” came in at no. 2 with $8.5 million in its fourth weekend. The Universal release, the eighth installment in the franchise, has grossed $1.6 billion worldwide. The only film selling tickets globally at even roughly the same pace as “Guardians of the Galaxy Vol. 2” was the South Indian sequel “Baahubali 2: The Conclusion.” The Tollywood film (in the Telugu language) has in two weeks grossed $147.3 million globally, according to comScore. That sets a new mark for an Indian film at the worldwide box office. A handful of films in limited domestic release opened including A24′s “The Lovers,” with Debra Winger and Tracy Letts ($70,410 on four screens); the Weinstein Co.‘s “3 Generations,” with Elle Fanning ($20,118 on four screens); IFC’s “Chuck,” with Live Schreiber ($40,416 on four screens); and Laura Poitras’ Julian Assange documentary “Risk” ($75,179 on 34 screens). 1. “Guardians of the Galaxy Vol. 2,” $145 million ($124 million international). 2. “The Fate of the Furious,” $8.5 million ($30.1 million international). 3. “The Boss Baby,” $6.2 million ($11.9 million international). 4. “How to Be a Latin Lover,” $5.3 million ($5.6 million international). 5. “Beauty and the Beast,” $4.9 million ($11.9 million international). 6. “The Circle,” $4 million. 7. “Baahubali 2: The Conclusion,” $3.2 million ($43.9 million international). 9 “Going in Style,” $1.9 million ($3.1 million international). 10. “Smurfs: The Lost Village,” $1.8 million ($5.6 million international). 1. “Guardians of the Galaxy Vol. 2,” $124 million. 2. “Baahubali 2: The Conclusion,” $43.9 million. 3. “The Fate of the Furious,” $30.1 million. 4. “The Boss Baby,” $17 million. 5. “Beauty and the Beast,” $11.9 million. 9. “Shock Wave,” $7.1 million. 10. “Smurfs: The Lost Village,” $5.6 million.